Steve Reich Wins Music Pulitzer Reich is the first Pulitzer winner from the generation of composers who developed the style called minimalism. His Double Sextet was designed to be performed by six musicians playing against a recording of themselves. It was premiered by the eclectic ensemble Eighth Blackbird. 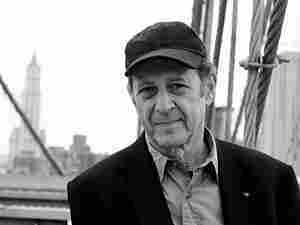 New York-based composer Steve Reich has won the Pulitzer Prize for music with his piece Double Sextet. Reich composed the work for two identical sextets of instruments, each made up of flute, clarinet, violin, cello, vibraphone and piano. "I'm very glad that this particular piece got it, because I do think it's one of the better pieces I've done in the past few years," Reich tells NPR's Tom Cole, who broke the news to the composer over the phone at his home in New York. "The piece can be played in two ways," Reich says. "Either with 12 musicians or with six playing against a recording of themselves." That's exactly how the Double Sextet was premiered, in May 2008, by the ensemble eighth blackbird. The concept of musicians playing against taped recordings of themselves is not a new idea for Reich. He used it in his "Counterpoint" series and Different Trains in the 1980s, and as far back as 1967's Violin Phase. "It's the idea of writing basically unison canons," Reich says. "The same timbre playing against itself, so that when they intertwine, you don't hear the individual voice; you hear the composite. Now, if you have several composites going on at the same time, you really get to an interesting situation, and that's what's going on in Double Sextet." Tim Page, professor of journalism and music at the University of Southern California and himself a former Pulitzer winner for music criticism, says he was overjoyed to hear the news about Reich. "It's about time the first generation of minimalist composers were honored," Page says, "because they changed American music. It could be argued they changed world music." Page points to the generation of composers before Reich, with their penchant for an atonal, serialist style of music that left many listeners cold. "And here comes Reich, and he's tonal and rhythmic," Page says. "He helped teach the world to listen to music in a new way. Also, it's music that has touched every other kind of music, from rock and jazz to hip-hop. He is a universal composer." Anne Midgette, chief classical music critic of the Washington Post, agrees. "This is a richly deserved award to a man who may be America's greatest living composer," Midgette says. "Double Sextet combines the probing intellectual rigor that's a Reich hallmark and the live-against-recorded-playing that he's returned to again and again throughout his career, with an autumnal richness of tone and timbre that makes it meditative — and even, in places, outright melodic." Double Sextet was commissioned by eighth blackbird, an adventurous ensemble of young musicians who grew up listening to Reich's music. "Thankfully, a lot of young musicians have not only played all kinds of my pieces, but have played them well," Reich says. "It's because they heard them when they were younger. This is the case in all music history. Composers have a real difficulty in that first generation when they are writing these works. But the following generations grow up with it as part of the furniture in the room. So eighth blackbird, and many other groups I'm happy to say, can not only play it, but play it convincingly and enjoy themselves."